A corrupt SD card could turn out to be a nightmare for many specially photographers. SD cards are widely used in many devices including digital cameras to store thousands of photographs. Such cards make use of the non-volatile technology and are very portable. This makes it a preferred choice for many users. Unlike hard drives they have comparatively lesser capacity and do not involve any mechanical moving component. However, such memory cards might fail at times. In spite of having so many features, they can become inaccessible or corrupt. There could be many reasons for the card to become unreadable. More often, human errors are responsible for memory card corruption. Some of the most common reasons for memory card corruption are mentioned below. These are some of the most common reasons for SD card corruption. However, there could be many more reasons for corruption. In any case, it leads to inaccessibility of the data. In the worst case, it might also lead to data loss. The most common reason for the inaccessible SD card is due to the problem occurring while transferring the photos from SD card to a computer. Consider a scenario, where you have taken many clicks of a live concert and you need to transfer them to your Mac system. While transferring you found that you are not able to transfer all the files. In addition, you get a message that your files were unreadable. However, the files are present in the SD card, but you are not able to preview or read them. Such a situation creates panic as one might wonder if he/she is going to get back the inaccessible data or not. While working with Mac you have an advantage of using the inbuilt utilities that can be used to solve many issues. The inbuilt Disk Utility and Repair Disk Option can be used to perform SD card recovery on Mac. The Disk Utility option is by default included along with the OS X operating system. Usually when an SD card becomes inaccessible, it is the file structure that becomes corrupt. The tool is capable of fixing the file structure and makes the SD card again accessible. Anyone with slight computer knowledge could recover photos from an SD card on a Mac running OS X. You need to perform the below mentioned steps to get back the lost photos. 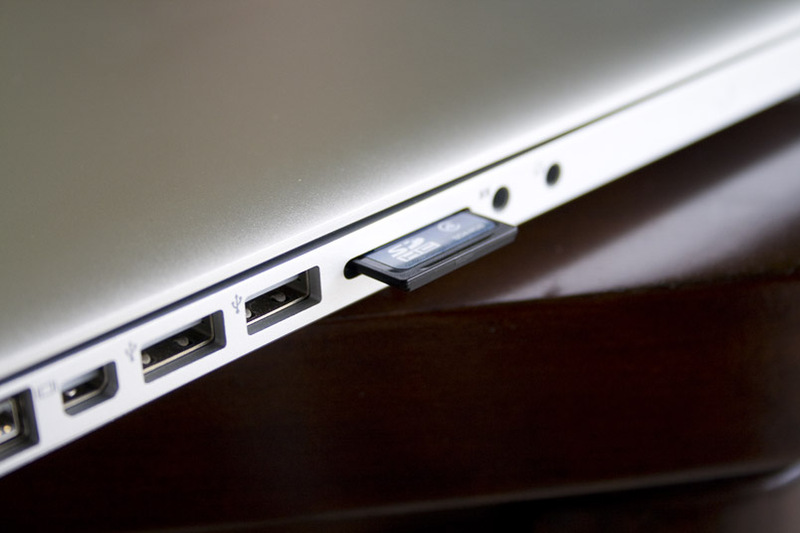 Insert the inaccessible SD card into the SD card slot on the Mac system. Launch the Disk Utility program by double-clicking it. Note: This can be found in the Applications->Utilities folder of the Mac drive. On the Disk Utility program’s main screen, click on the SD card icon in the left column. At the top of the Disk Utility program, click “First Aid”. From the bottom-right corner of the Disk Utility program’s main screen, click the “Repair Disk” button. A progress bar shows that the repair process is going through as it fills from left to right. You can see a list of text lines scrolling down the window while the progress bar moves on. Once the progress bar has completely moved from left to right, quit the Disk Utility program. Drag the SD card icon present on the desktop to the Trash icon. Ensure that the SD card icon disappears. Take out the SD card from the SD card slot. Disk Utility being an internal utility of the Mac based system, are capable of recovering lost or inaccessible photos from SD card. However, they might fail to work as expected at times. At times, they might show some variance in the actual size of the image and the displayed one. A photograph with an original size in MBs could appear in KBs. In fact, you might experience similar problem while working with other utilities like Repair Disk. To overcome such situations, you should always go for a professional and reliable tool to get back lost photos from SD card using Mac OS X. Try with this Data Recovery, it enables you to recover lost photos from sd card easily!